That India has not articulated its strategic doctrine in the form of a national defence white paper makes its strategic doctrine – a state’s approach to the use of force - difficult to pin down. However, the recent Uri terror attack episode and its counter by India in surgical strikes suggests there is a tendency from strategic restraint - reticence in the use of force - towards strategic proactivism - a propensity for the use of force. The government, mindful of the internal constituency in the run up to elections in UP and Punjab, has sought to give the military operations along the Line of Control (LC) the veneer of a decisive shift. Perceptive observers, such as former national security adviser Shivshankar Menon, reckon that the difference is in the government’s making political capital from military operations, whereas the earlier practice was that these were kept covert. However, from the Bharatiya Janata Party’s national general secretary’s statement calling for such a shift, it appears India is not quite there yet. India is constrained by deficiencies in capability, particularly in military equipment. This prompted for the first time since Operation Parakram in 2002-3, a fast-tracking of a major off-the-shelf purchase of anti-tank, artillery and air ammunition to the tune of Rs. 5000 crores, followed speedily by another allocation of Rs 80000 crores for acquisitions. It appears India is getting the elements of the shift in place. This article examines the shift in light of whether the shift brings about stability and security, as a viable strategic doctrine ought to. 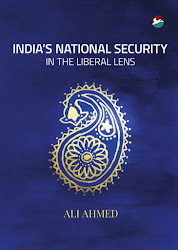 Its looks at military doctrines of India and Pakistan reveals that in their interplay, they form a volatile mix. The shift to strategic proactivism makes this interplay combustible. Sensing that the shift does not yield up security, the article concludes that strategic rationality may not be the guiding hand of the shift towards proactivism. Instead, rhetoric in wake of the surgical strikes must instead be taken seriously to gauge the inspiration for the shift. This makes for a worrying conclusion that strategic proactivism is the influence of cultural nationalism on strategic thinking in India. National security doctrine is the overarching thinking of a state giving out what it deems as security. Strategic doctrines is an outflow of this on how it wishes to employ force in the provision of security for itself and its people. Broadly, a strategic doctrine rests along a band on a continuum with the choices being between accommodation, defense, deterrence, offense and compellence. A strategic doctrine is a necessary first step for the articulation of lesser doctrines such as military, nuclear, intelligence and information doctrines and force related elements of foreign and internal security policies. Strategic doctrines helps orchestrate the lesser doctrines for action and response in the strategic environment. It serves notice externally and in its internal messaging hopefully reassures the public that national security is in safe hands. As late General Sundarji imagined it, India’s strategic doctrine serves as the proverbial elephant being inspected by the ‘blindmen of Hindoostan’. It enables limitless flexibility, going beyond confounding the adversary to meaning nothing to instruments of state looking to it for guidance on writing up respective doctrines. To illustrate, the army came up with the so-called ‘Cold Start’ doctrine in wake of the nearly year-long mobilisation, Operation Parakram. However, even though organisational and equipping moves duly followed, the doctrine reportedly failed to receive governmental imprimatur. Successive army chiefs at times suggested that there is nothing called ‘cold start’ and at others, that the army has the capability of reaching an operational readiness within 48-72 hours under its Proactive Strategy. 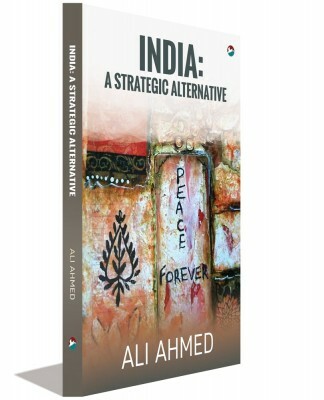 Over the last quarter century of being sorely tried by Pakistan, India’s strategic doctrine has been located at various times along the continuum in the segment of deterrence, oscillating between defensive and offensive deterrence, with an admixture of accommodationist vibes thrown in as incentive for Pakistani good behaviour. However, this confusing mix of postures and actions has provided Pakistan’s national security establishment - run by its ‘deep state’ - an alibi to keep up its hostility. The Pakistani military can but be expected to solely see the business end of India’s stick and not any carrots on offer. This accounts for the periodic crises in India-Pakistan relations. The interplay of military doctrines of the two states imparts these crises with an escalatory overhang. Even though India’s national security adviser advocates a doctrine of ‘defensive offense’, this is likely a misnomer, serving to obfuscate since India is not quite in the defensive segment of the strategic doctrinal continuum, but transiting form the offensive deterrence segment towards compellence. Military doctrines can be studied in relation to the spectrum of conflict that can be imagined as the subconventional, conventional and nuclear levels arranged vertically atop each other so as to convey best escalatory ramifications. The regularity of crises in South Asia has made the interplay of Indian and Pakistani military doctrines rather well known. In nutshell, Pakistani aggressiveness at the subconventional level through its proxy war is responded to by India muscling its advantages at the conventional level through its doctrine of proactive operations. Pakistan, wishing to stymie any gains by conventional forces, brandishes tactical nuclear weapons (TNW). At the nuclear level, India desultorily discusses ridding itself of its No First Use (NFU) pledge, with the defence minister’s voicing of a personal opinion on this being the latest instance. Its official nuclear doctrine continuing to incredibly promise ‘massive’ nuclear retaliation, the circuit is complete between jihadis operating at the lower end and city busting at the upper end of the spectrum of conflict. This tight coupling of the military doctrines of the two states explains the speedy telephonic interaction between the two national security advisers of India and the US in relation to India’s surgical strikes. It also explains the great care with which Indian Director General of Military Operations highlighted the limited intent of the surgical strikes along the LC in his statement to the press. This recognition of the dangers is a good thing in itself, but dangers persist. Indeed, the dangers are leveraged by the two sides. Whereas Pakistan includes terror attacks in India and elsewhere such as Indian interests in Afghanistan in its inventory, India has possibly expanded its counter to include – as alleged by Pakistan - intelligence operations as far afield as Afghanistan and Balochistan. Strategic proactivism is a further step in this direction. Though perhaps intended to make Pakistan blink first, it might just provoke the opposite reaction in Pakistan. The first salvos were fired by Prime Minister Modi from the ramparts of the Red Fort this year when, in the context of the fresh round of summer disturbance in Kashmir, he reminded Pakistan of its strategic underside in making a mention Pakistan Occupied Kashmir, Gilgit-Baltistan and Balochistan. The Uri incident if seen as Pakistan’s reply was not long in coming. In response, India’s surgical strikes have led to an entirely predictable collapse of the understanding on ceasefire on the Line of Control dating to 2003. The three levels of the spectrum of conflict – subconventional, conventional and nuclear – can each be subdivided into two sublevels: lower and upper. At the subconventional level, Pakistan is offensive at both the sublevels, fuelling as it does the Kashmiri militancy at the lower level and hurling jihadists in terror attacks at the upper level. India, for its part, has been suppressive at the lower sublevel, stopping just short of the three figure mark of deaths in J&K. At the upper sublevel, it appears to have been responding in kind to Pakistani terror attacks through covert operations along the LC. The reference to Balochistan figuring in the Manmohan-Zardari Sharm el Sheikh joint statement as far back as in 2006 indicates that India has not quite been as inactive on the intelligence front as it makes out either. The increased likelihood of future surgical strikes indicates a fraying of the subconventional-conventional divide, since these will likely have greater punch against a more alert adversary. Likewise, at the conventional level, India is primed to unleash limited offensives by the pivot – ostensibly defensive – corps at the lower sublevel. At the upper sublevel, the military exercises it undertakes each year indicate that it has not abjured from strike corps operations. Even though it claims to be cognisant of Pakistani nuclear thresholds, ordinarily strike corps have the weight and punch triggering Pakistani nuclear redlines. In response, Pakistan has unveiled its TNW, pushing the war into the nuclear level. Thus, while India is forthrightly offensive at both the sublevels, at the upper sublevel, Pakistan obliterates of the firebreak at the conventional-nuclear level. Alongside, in war there would be intelligence and information war operations, only serving to sandwich the two levels - subconventional and conventional - into a hybrid war unsparing of populations. The nuclear level can also be similarly subdivided into two sublevels. Pakistan has advertised its vertical proliferation, messaging thereby that it has a second strike capability – the ability to strike back even if its nuclear capability is targeted in a degrading attack – anchored in its higher numbers. 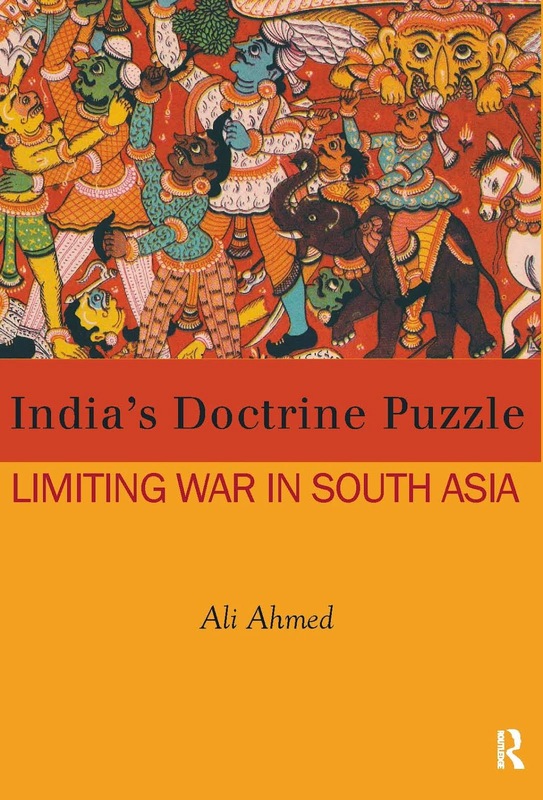 In effect, South Asia is in its era of mutually assured destruction (MAD). The upper sublevel comprises mutual nuclear suicide. The lower sublevel can be imagined as nuclear exchanges short of this involving lower order nuclear exchange(s). Since a MAD situation does not permit India the luxury of following through with its official nuclear doctrine predicated on extensive nuclear targeting, India may well be having a confidential operational nuclear doctrine envisaging nuclear warfighting. This is not altogether for the worse, since it enables nuclear war termination at lower thresholds than after counter city exchanges. Nevertheless, it shows a mirroring offensiveness on both sides. Essentially, what has occurred is that the increase in the offensive content and intent in strategic doctrines of the two states, as reflected in respective military doctrines over this century has led to greater instability and insecurity. While India shifted to proactive offensive at the conventional level, Pakistan went offensive at the conventional-nuclear divide with its TNW. India’s current-day shift obliterates the divide between the subconventional and conventional levels. In the main, strategic restraint was in India keeping a check on itself at the conventional level. Deeming from the terror attacks in Gurdaspur, Pathankot and Uri, that this has not paid dividend, it intends to be proactive at the upper end of the subconventional level. Thus, the two divides between the three levels that could have served as firebreaks now stand erased. Is South Asia more secure? There are two parts to India’s new Pakistan strategy: the first is to project irrationality a’la Nixon, and, the second, goes by the term escalation dominance strategy. The shift to proactivism implies mounting the tiger with little leeway for getting off unscathed. India is projecting that it has stepped on accelerator, thrown away the keys and the steering wheel. This is intended to ensure Pakistan steers away. It is to frighten Pakistan that by abandoning strategic rationality that informed its strategic restraint, India has taken its gloves off. In so far as this is a well-thought through strategy to deter the other side, this is not outside the realm of strategic rationality. It goes by the term strategy of irrationality. The second is to acquire such military muscle at all levels that India can choose to punish Pakistan at the level of its choice, leaving Pakistan no leeway to escape punishment by upping the ante. Since it would suffer like punishment at the next higher level too, Pakistan is expected to throw in the towel. The problem with the first is that irrationality is a better strategy for a weaker side. A stronger side normally should be able to point to its strengths to help deter. For India to reinforce the strategy of irrationality by ‘surgical strikes’ in domains other than security, such as the currently unfolding demonetisation episode, suggests an inapt adaptation of the strategy of irrationality. On the other hand, Pakistan, as the weaker power, has resorted to a projection of irrationality. Its initiation of the Kargil intrusion is a case to point. Though it did take care to intrude in an insignificant area, enabling India to limit its counter, to rely on Pakistani strategic rationality to sensibly veer off on espying the Indian juggernaut is to put one’s eggs into a Pakistani basket. Earlier, India’s sobriety reflected in its strategic restraint was a good foil for Pakistan, but now with both two states mirroring irrationality, South Asia can be likened to a nuclear tinderbox. As regards escalation dominance, firstly, it is questionable whether India has the strategic wherewithal to think through such a strategy. Its national security instruments are far too disjointed to put together such a complex strategy. Secondly, even if strategic rationality in the conservative-realist perspective is conceded to India’s strategic minders, the baleful influence of their ideological masters cannot be discounted. The latter may not be seeking security and stability, but are liable to be engaging in their imagination in a millennial struggle. Therefore, it is not the weaker side that might consider upping the ante, as the escalation dominance strategy foretells, but an India out to impose its own version of ‘shock and awe’. The answer to the question on whether regional and national security is by now self-evident. Strategists on the Indian payroll have apparently not worked this out. Clearly, other influences are at play. Doctrine making is never left to professional strategists, but is an intensely political exercise. Paying attention to the defence minister’s remarks on the cultural nationalist inspiration of proactivism provides a hint. By this yardstick, strategic proactivism is only chimerically about external security in relation to Pakistan and its internal security blowback in Kashmir. Instead, it is the cultural nationalist imprint on national security. Suhasini Haidar, ‘Earlier cross-LoC strikes had different goals: former NSA’, The Hindu, 12 October 2016, available at http://www.thehindu.com/news/national/former-national-security-adviser-shiv-shankar-menon-on-crossloc-strikes/article9208838.ece; accessed on 15 October 2016. KR Rajeev, ‘Time for strategic restraint over, says Ram Madhav’, The Times of India, 18 September 2016, available at http://timesofindia.indiatimes.com/india/Time-for-strategic-restraint-over-says-Ram-Madhav/articleshow/54393643.cms; accessed on 20 October 2016. Sundeep Unnithan, ‘Preparing for the worst’, India Today, 27 October 2016; Available at http://indiatoday.intoday.in/story/ministry-of-defence-ammunition-procurement-indian-army-cag/1/796684.html; accessed on 30 October 2016. Ajit Kumar Dubey, ‘Defence Minister Manohar Parrikar clears defence deals worth Rs 80,000 crore’, Mail Today, 8 November 2016; Available at http://indiatoday.intoday.in/story/parrikar-clears-defence-deals-worth-rs-80000-crore/1/805088.html; accessed on 15 November 2016. Shailaja Neelakantan, ‘When NSA Ajit Doval outlined India's new Pak strategy- defensive offense – perfectly’, The Times of India, 4 October 2016; Available at http://timesofindia.indiatimes.com/india/When-NSA-Ajit-Doval-outlined-Indias-new-Pakistan-strategy-defensive-offense-perfectly/articleshow/54670600.cms; accessed on 15 November 2016. Sushant Singh, ‘Manohar Parrikar questions India’s no-first-use nuclear policy, adds ‘my thinking’’, Indian Express, 11 November 2016; Available at http://indianexpress.com/article/india/india-news-india/manohar-parrikar-questions-no-first-use-nuclear-policy-adds-my-thinking-4369062/; accessed on 15 November 2016. PTI, ‘'RSS teaching' may have been at core of surgical strike decision: Manohar Parrikar’, The Times of India, 17 October 2016; Available at http://timesofindia.indiatimes.com/india/RSS-teaching-may-have-been-at-core-of-PoK-raid-decision-Manohar-Parrikar/articleshow/54900927.cms; accessed on 15 November 2016.